I’ll give it a try. I’m always up for trying something new. One, can you outline all ways of storing the finished product? I failed to see where you say how to store the already-bottled tea. To the best of my knowledge, it can/should be refrigerated. And two, will store-bought Kombucha suffice for a starter? 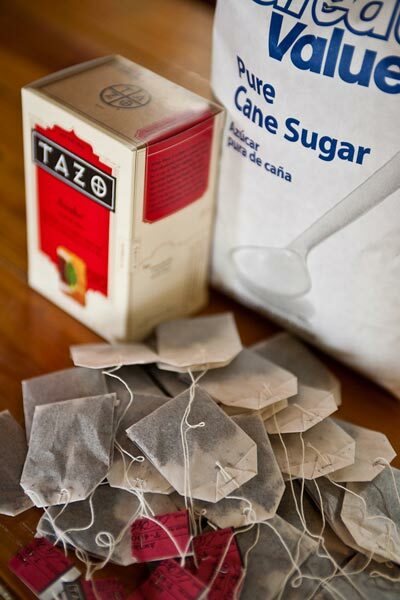 I used to work at a local health food store when I discovered this tea… and how expensive it is! I would pay upwards of $4 for a small bottle until I decided it was simply too expensive and just stopped consuming it altogether. I might buy a bottle if it will start me off making more bang for my buck! 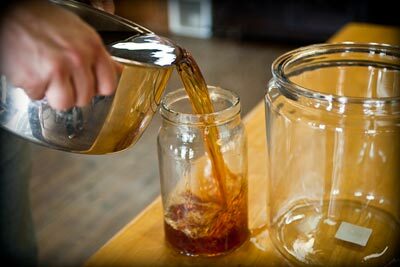 Thanks for this frugal-friendly post on how to make this truly vitalizing drink from homemade!! Thanks for this information. I’ve tried to make this before and it came out terribly. I have renewed confidence to try again! It does not have to be refrigerated once bottled. It can be stored in a cool place anywhere in your home, out of the sun. Move it to the fridge to cool before consuming if you like a cold Kombucha tea as I do. 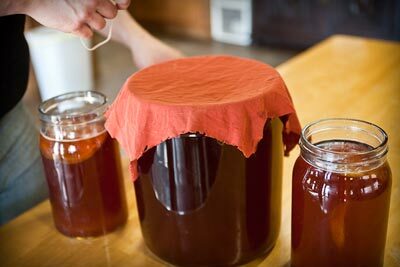 Store bought Kombucha can be used as a starter, but it takes a little longer to develop initially and there are some factors to consider in doing that. I’ll be writing that article as well. Yes, the store bought bottles are about $4 each, and usually contain 2 servings (they say, but I drink the whole bottle). As for the “price” of Kombucha, once we realize the benefits and the result, it’s quite affordable actually. However, making your own allows you to become part of process of improving your own health and you have direct control over the energy going into the finished product. Treat your Kombucha with Love. 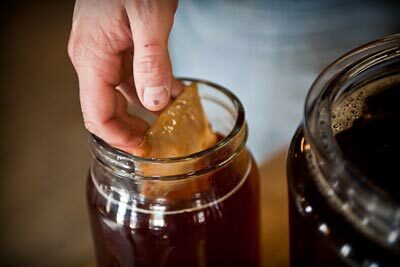 I’ve noticed lately that there are a few bottled kombucha’s that have a big blog of scoby in them. Whether or not it’s active and has both bacteria and yeast is another question all together. My first batch of K-tea using a bottle I bought did not turn out at all. I have since found a possible reason why though and want to try again. Thank you for the questions. I’ll be writing the answers in detail shortly. Great article Rob! I’m still learning the art of Kombucha making myself, as you know, and pretty much do it the exact same way as yours. For the packaging, after brewing, I’ve just saved my old GTs Kombucha bottles and keep it in there. Thanks and I look forward to your future articles. Once I get the knack I’ll toss my process on my blog too. Hi Rob, Love your website. Great information throughout. You truly are an inspiration for determination!! I did some online research on Kombucha tea. It made me a bit hesitant to try it. Wasn’t sure if you were aware of all the bad press on it. I know there are always naysayers to almost everything, but felt the need to run my findings by you for you to give your opinion on it. American cancer society was one of the sites I visited. Thanks a million. Very inspirational site. I think I may just try out this recipe as I’m beginning my weight loss journey (yet again). Hopefully this time it’ll stick. With sites like this to guide me, I’m hoping this is the last time I ‘start’ a weight loss journey. Hello there, I am very interested in this Tea, when I goto the health food store do I ask for Kombucha SCOBY and Kombucha starter mixture. is there a brand name that I should ask for? Dave, health food stores wouldn’t be selling the SCOBY, just a bottled brand of Kombucha tea. 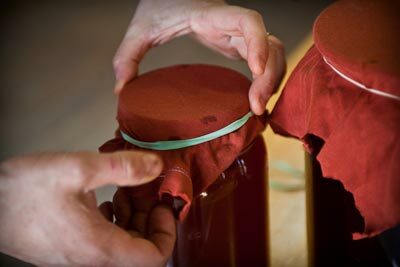 to make your own, you’re going to want to search the classifieds in your area for someone who is privately giving away or selling a SCOBY. check kijiji or craigs list for example. Ask around of facebook… check the marketplace there, or look for a group in your neck of the woods. SCOBY can also be sent by mail if it’s packaged correctly. That’s how I got mine. Not sure that it can cross a border though as it’s a living thing (microorganisms etc), so would have to get some from your specific country. I’ll be doing an experiment to see if I can start my own batch of Kombucha tea from a store bought bottle of Kombucha very soon and then write about. 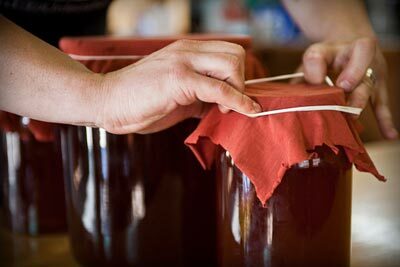 That was an intersting article on the making and storing of Kombucha tea. I love tea and as at the moment I reside in India ( Tea drinking southeastern state) I have lots of the brew to keep me happy. However could you enlighten me please, as to the name of the SCOBY /starter kit that I may be able to get here, perhaps a brand or a name, that is mostly availble in India / Asia, for I could be well and truly on the path of perfecting yet another way of making tea which would indeed benifit my health greatly! I certainly look forward to a response from you. Thank you Rob. SCOBY stands for (S)ymbiotic (C)ulture (O)f (B)acteria and (Y)east. Some refer to it as the Kombucha “mushroom” but it is NOT a fungus at all. SCOBY just looks similar to a mushroom ,so they refer to it as one. They are not sold as a brand. You would get one from someone else who has made Kombucha in your area. You can also order it via mail order from somewhere close. It can be transported, but rarely if ever cross a border as it’s a living thing. I encourage you to search online or in a local “for sale” type paper to find one. Average price would be about $10 for one. You probably have to find someone though, and not through a store. Yeast is actually unicellular fungi. Thus making the SCOBY a “mushroom” afterall, BUT of course it is much, much different than any other run of the mill shroom and that’s a fact. So how long will the SCOBY last?? Will it really remain useful by simple storing it properly? 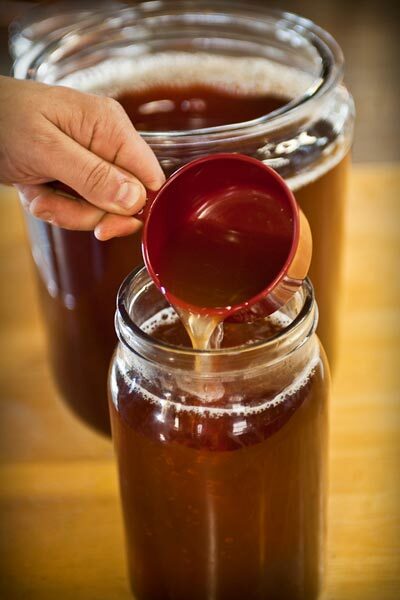 It really can be used time and time again that you wan to make Kombucha? I had started my tea 15 days ago and now its vinegar tasting – (went on holidays) – this is also my first try at it – so question is can I start another batch with the mother and a bit of the tea or do I have to get new scoby because this one is so vinagery tasting?? Thanks for the instruction on how to make Kombucha Tea.I live in Ghana and I don’t know how to get Kombucha SCOBY. I will be grateful if you can instruct as to to make it at home. I am in need of help! Brewed my first batch and on day 6 of breweing woke up to my scoby laying on the bottom of my glass gallon jar 🙁 Not sure what has gone wrong and am hoping someone can give me some suggestions. It never seemed to bubble at all or attach itself to the sides or grow bigger. I received the scoby from a friend who has been doing it for a long time. I am wondering if its too cold on my counter if maybe that is why it sunk. I tried to lift it but it just sank again. Was wondering if maybe I need to start over or if the scoby is even still good? Please any help would be greatly appreciated! Scoby will float or go to the bottom. Both are fine. Totally normal. Nothing happened. It’s all good. Scoby is just fine. What you’re really looking for is a new baby scoby to form on top. The primary scoby may fall to the bottom. @Samuel, are you able to get a bottle of Kombucha from any health food store? To make Kombucha, you must at least have access to starter kombucha, even if you dont have the SCOBY. It’s a living beverage, so must have a starter to work from. @Sherall, Kombucha goes more and more acidic over the brew time. 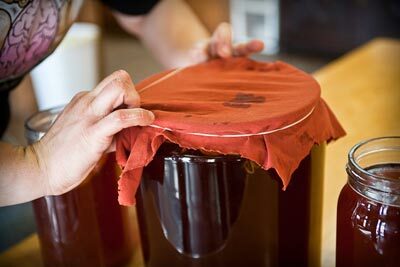 Vinegar is the “prime” condition for it and the SCOBY. Scoby LOVES this acidic environment and Kombucha is an acid. The more acid, the better it is for you, but simply tastes too strong for most people. When not brewing, I leave my scoby’s in the jar with some liquid for a month or more and it gets to it’s most acidic point, uses up all the fuel and goes dormant (sort of). all that happened is that it fermented too long. You probably have a warm environment for it. next time test it for flavor at 4 days and see how you like it. Then try it at 7 days (it will be less sweet and more acidic). Find a time frame that you like for flavor. The longer it ferments the better it is for you though. It’s not supposed to be sweet, but some find that the little bit of sweet helps offset the acid taste. 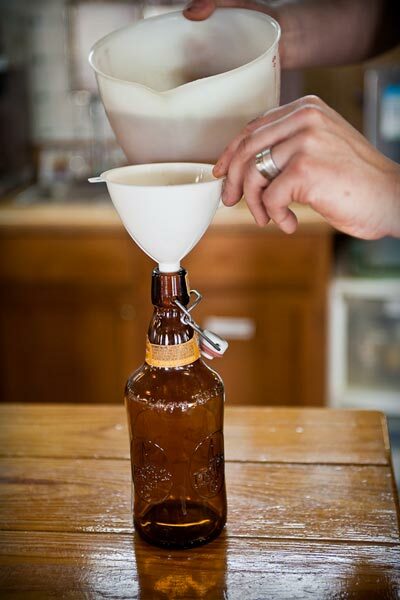 now… that acidic Kombucha you brewed is PERFECT for your next batch. 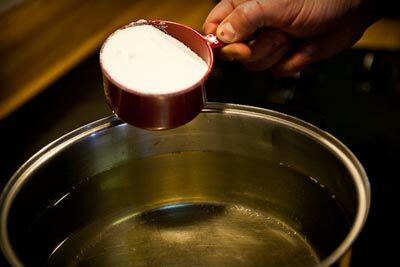 Use a portion of it as the starter for your new batch. Here’s the thing: Kombucha loves a low pH environment. 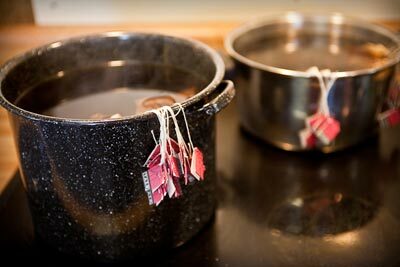 That’s partly why we add some starter, to get the sugar / tea solution a little lower pH to begin with so it brews better. If this isn’t done, mold can grow and ruin the scoby. @EZmelts, the SCOBY will last for many batches of Kombucha. It will eventually have to be lovingly discarded though (I compost mine). In prime condition it’s white but over time begins to get discolored and turn a darker brown color. Scoby should be good for nearly a year, but then simply begin to use the newer scoby’s. From what I understand, less scoby’s in the jar result in a better ferment. This is a case where more is not better. Can you sub xylitol for sugar when making kombucha? @Garry, No, you cannot substitute Xylitol for sugar when making Kombucha. And you wouldnt want to anyway. the sugar and the tea are food for the culture. None of it is left when the Kombucha is finished fermenting. 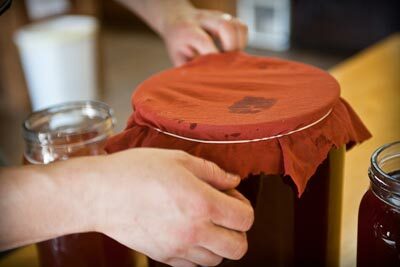 The Kombucha SCOBY culture converts the sugar tea solution (it’s food source) into the kombucha beverage we consume. The sugar is not for us. SCOBY needs nitrogen, a carbohydrate fuel source and an acidic environment to function properly. Xylitol will not provide that environment. Just wanted to let you know I just bottled up my second batch and it is amazing and my babies are producing like crazy! Thank you for your help! @Shannon, NICE. I’m so glad. Rate of ferment depends on temp. In Canada right now, it’s a slow process. In Florida or Texas, it’d be right quick! I’ve got 5 gallons brewing at the moment. 2 in 2 gallon glass jars and one in a gallon. Rob thanks for writing about this! I wonder why I have never heard about this tea before? 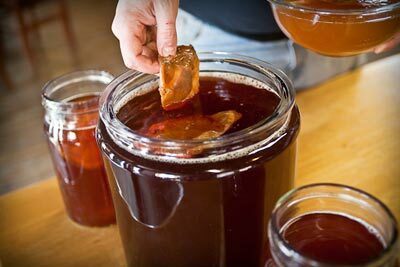 I am looking to buy a live SCOBY/Kombucha culture. Can someone tell me where I can get one? @Alison, first place I recommend to look for one is your local craigslist. Browse there, or place an ad requesting a SCOBY. @Allison- Ebay has them all the time and whenever I need a new one I go there and get one for less than $5 and they’ve always been great quality. For those looking for an entire site about Kombucha, swing on by KombuchaKamp.com to sate your appetite. And if you need a culture, supplies and support, I offer that too. Can I substitute kombucha with tibicos or are they just the same thing? Thank you, Rob and Bob. I got two and already brewed the new tea. When I started making kombucha, a friend gave me a starter that was descended from a culture smuggled out of Tibet in 1959. All I did was pour some left-over tea into a large glass jar, drop in the starter, and let it work. The kombucha came out fine. It grew a big mother in the bottom of the jar, and I decanted enough to drink every day for several years. Sometimes I used black tea, sometimes green, sometimes peppermint. The kombucha seemed to be strong enough to thrive on anything. Most of the time, it didn’t get any sugar, since I don’t generally sweeten my tea. Sometimes it got honey, and it was fine with it. I never tried bottling or storing it. The idea never came to mind. I just kept it on the kitchen counter and drank it. That’s finally something where sugar does any good 🙂 Yeah, my folks have been brewing Kombucha for years and I get it from them. I wasn’t fond of its taste in the beginning, but I got a liking for it over time, which is important if one’s to keep consuming it in the long term. This creature is amazing. Thanks for sharing this detailed post, it’s just great work. I don’t have a friend who has a SCOBY or had some from a previous batch, do you have a link as to how to make the SCOBY? And does the finish product have an alcohol content? I can handle Vinegars but I can’t handle alcohol, I like making it, but I can’t drink it, hurts my gut. Oh I forgot, I see granular sugar is used, can honey be used? Hey there Rob. Thanks for all of this awesome info. I bottled my first batch about 3 days ago. I used regular wine bottles and corked them, not too tightly in case pressure built up. Well, the pressure did build up too much in one of them and the cork popped. There’s some strawberry apple mash coming out the top, it’s probably been that way for 12-15 hours. Do you think it’s ok to just pour some out and recork it for a few more days? I’m just worried about contamination – we brew beer and contamination is a big concern, not sure if it’s as much of a concern with kombucha at the final stage. Putting the bottle in the fridge stops fermentation, correct? I appreciate your advice. Thanks! @Tiffany, I’ve had many a cork blow from kombucha in wine bottles. Decided it just wasn’t the right way to do it. Scared the crap out of my cats too (funny though). at such a low pH AFTER brewing, it shouldn’t be much to worry about. Beer isn’t an acid so contamination could be a concern. Contamination of Kombucha during the fermentation phase IS a concern. It would depend on how soon you caught the bottle after the cork blew (In my humble, but not expert opinion). @Karl, no dont use honey, use sugar. The sugar is for the scoby, not for you. 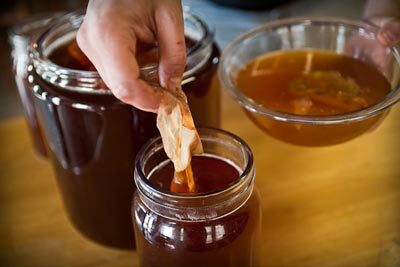 Making a scoby is tricky, and you’d still have to have the culture from somewhere anyway. Yes, kombucha has naturally occurring alcohol, each batch is different so there’s not “one answer” as to how much alcohol. NOt very much though. As for it hurting your gut, kombucha is ABOUT improving your gut’s ability to handle food and anything else. My guess is that kombucha consumption over a regular basis would improve your entire health. @Danny Dave, no Kombucha is completely different from Kefir (Tibicos). Similar in that it’s fermented, but a different culture and different format of fermentation. Great information! I’m brewing a batch of kombucha right now. I prefer kombucha that is lightly sweetened. You might have some insight on this – how do you make sure that the residual sugar level is low? Kombucha by design has only 5% of the sugar left in it. Spread out over a gallon, that’s not very much. 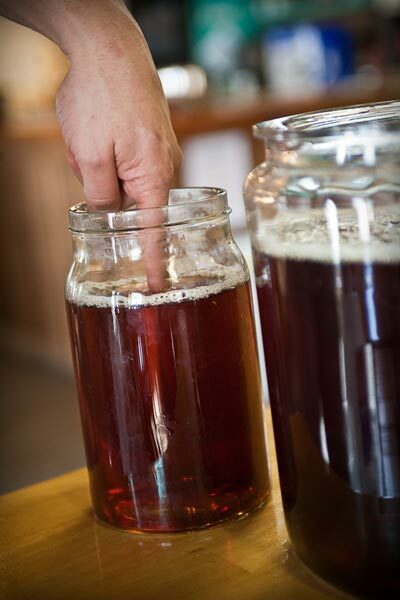 The yeast converts the sugar to alcohol and the bacteria then convert the alcohol to kombucha. slightly sweetened Kombucha is simply taken out of production a little earlier in the cycle. Currently, I’m brewing for 11 and 22 days and leaning more towards the 22 days. You have to be a special person to take the time to give and respond to so many people; I am curious to the benefit of drinking Kombucha. I am seeking to loose weight and will Kombucha be a help to that as well? Could you explain the complete benefits to drinking Kombucha and over what time period would someone see the results? Also, are there side effects to drinking Kombucha, that one need to be concerned about? Again, thank you for caring; if you say this will be a true benefit, that will worth attempting to achieve. I live in Jacksonville, FL and if it does assist with weight lost and other health benefits, I will go to ebay as Bob indicated, thanks Bob for the info, and order mine. One last thing; Rob could you tell me where you get the beer bottles you use and what size and how many do you fill at one time? I was Google searching organic weight loss and saw your site for formerfatguy.com and your caption appeared to reach out to me: “Courage is not the absence of fear, it is doing the right thing even in the presence of fear;” so I hope your kombucha tea will assist me in losing at least 30lbs so I can push myself to walk further, ride my bike longer, and use my $2000.00 piece of gym equipment; my Total Gym XLS that was given to me by Total Gym as a gift with free shipping, with hope I might achieve my goal in weight loss. I would love to write them with a wonderful success story. I am 5’1″ and all my life I never weighed over 118lbs; I had a brain turmor that got misdiagnosed for 3 years and I doubled my weight to 238lbs; once the turmor was found I was said to be in the final stages, and I knew God was there and had the surgery. I went down to 175lbs after the surgery, but the 1 year into the healing process caused me to regain the weight, due to being limited in everything. I am not a big eater; that is one of my problems, even though most of the time I do eat healthy I may not even eat until l:00 pm, or if I eat in the morning, I may not eat again until the evening, like 6 or 7:00 pm. I weight 212lbs now, but my chest burns so much when I attempt to do anything, even when I push myself, as when walking, I hurt for about the first 30 minutes before I feel any ease to continue. I had my surgery in 2000 and I was 43 and now 10 plus years later, I just want to be my healty self again, but not through killing myself or taking chemicals to get there; so I am praying you have a positive response for me regarding the Kombucha tea, because if I can lose about 30 pounds I will be able to do my Zumba DVD’s (I love to dance) and then with my Total Gym I can finish off the rest to a lifestyle change and hope for others such as myself. @Sha’ron, yes I should write those articles on the benefits and side effects of Kombucha. Haven’t yet. The bottles can be purchased at any beer and wine supply store. I bottle 5 or 6 cases every couple of weeks, but I make 30 gallons every 2 weeks.